We have been developing websites and training our clients for over 14 years. From phone and webinar training, to classroom and customer onsite training, we provide our clients with the knowledge and expertise to take total control of their website and presence. Joomla is an advanced Content Management System (CMS) Platform. It has rapidly become one of the most popular CMS platforms in the world with over 50 million downloads to date, and a version download every 2.5 seconds. Joomla is a powerful, expandable platform that is mobile ready and surprisingly user-friendly. Aerowebworks has worked with Joomla since it's creation and have in-depth knowledge and experience in how to maximize it's power. Articulate is a premier authoring tool used to create and format e-learning courses. Aerowebworks will teach you the foundations and details of Articulate's many capabilities, including content creation, quiz creation, and integration with Joomla's and other LMS systems. A robust and versitile authoring platform, ViewletBuilder allows a seemingly ulimited array of options in e-learning course development. A vast majority of internet marketing companies tell you the mark of SEO success is a top listing in the search engines. Yet, this is just the first step toward your real goals - to increase your business and the reach of your message. You need to turn that search engine presence into website visits, and then those visits into conversions. We will teach you how. Need to put together a last minute presentation with unfamiliar software? Did your company build a new website on a new platform? 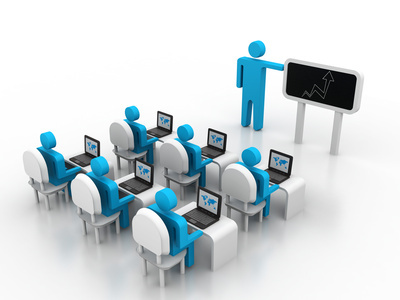 Aerowebworks offers user-defined, hyper-focused training for your on-the-spot needs.